Died of tuberculsis 9 July 1915, Johnson City, Washington Co. Tennessee. She died four months after the death of her newborn daughter Mildred (who died of cyanosis, or “blue baby” syndrome). Photo was taken about 1906 and is the property of pat jones. This post was update on January 3, 2017. 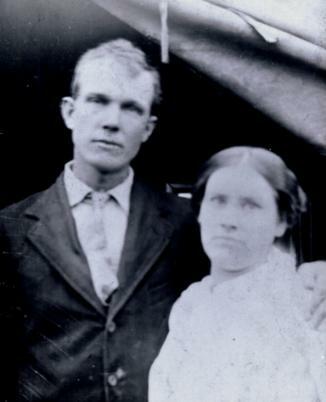 Adeline and Adolphus were my great grandparents. Adeline died young, not long after her last child was born. Adolphus left the children with Adeline’s sister to go to work, he wrote home a few times and then was never heard from again. There are several stories about where he went and what happened to him. He worked the railroads and it seems he may have had another family in WV. If it is the same man, then he also abandoned those children when their mother died. This post was update on January 3, 2017 to include death information on Adeline and the addition of her children.